Tinnitus Jukebox and Singing Knive Records are hosting an evening of free improvisation and left-field music from three European groups. 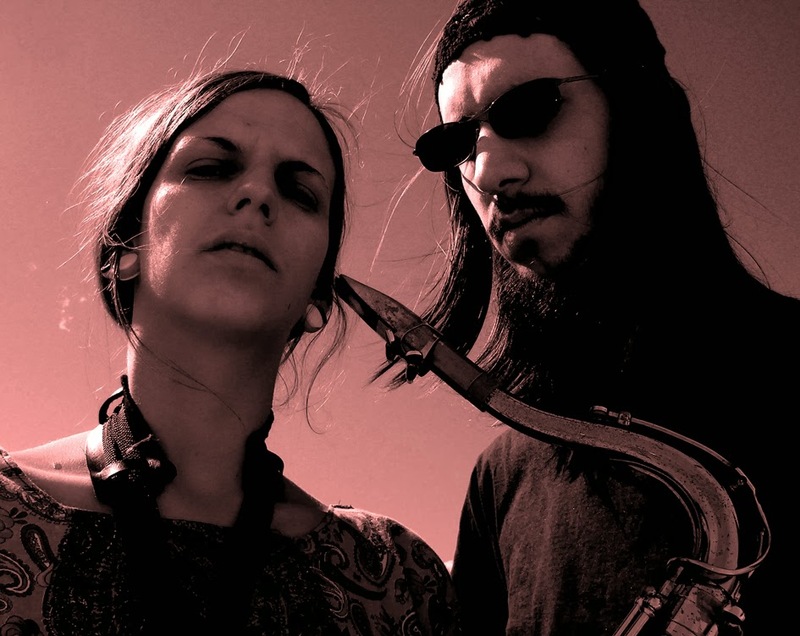 Virginia Genta (saxophones) and David Vanzan (drums) have been bringing their intense and mesmerizing music all over the world since 2003. The duo's work is a totally personal research that has been described as the most powerful expression in “free music” nowadays, transcending every kind of definition and going straight to the source of energy. Gelba is an improv project founded in 2011 by Michele Mazzani (tape loops, guitar, keyboards) and Matteo Poggi (guitar, fx, tapes). The duo performs an intense set based on visionary field recordings caught on high mountain ridges, complex guitar solutions, and arcane tape loops reprocessed to infinity.